Would you like one of these promotional cards for your bulletin board? Email me your snail mail. I'm happy to send you one. With video now an important compound of many marketing campaigns, being able to incorporate still captures from video footage will create unity across all marketing collateral. 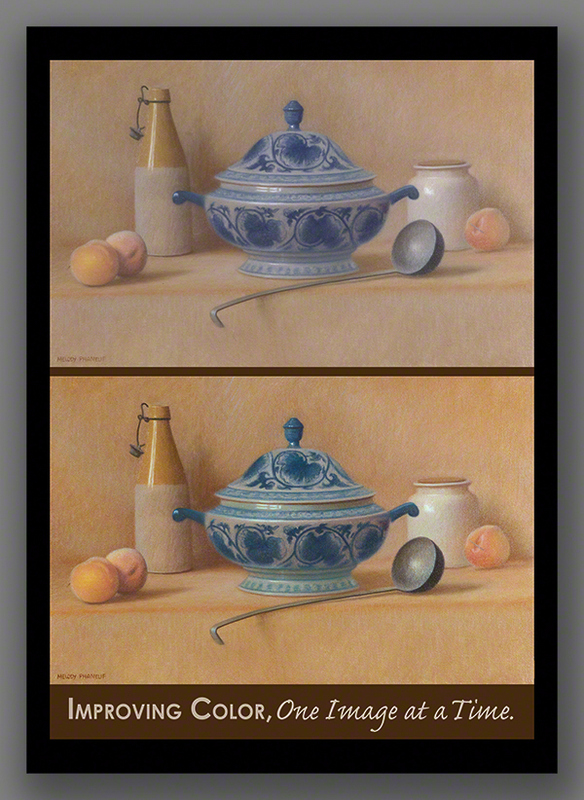 In this example, the lighting, tone, color, and contrast all needed expert attention. Take-Away: If you are required to use still images pulled from video footage, know that just about any image can be made improved when in the hands of a skilled Photoshop/Digital Imaging Specialist. 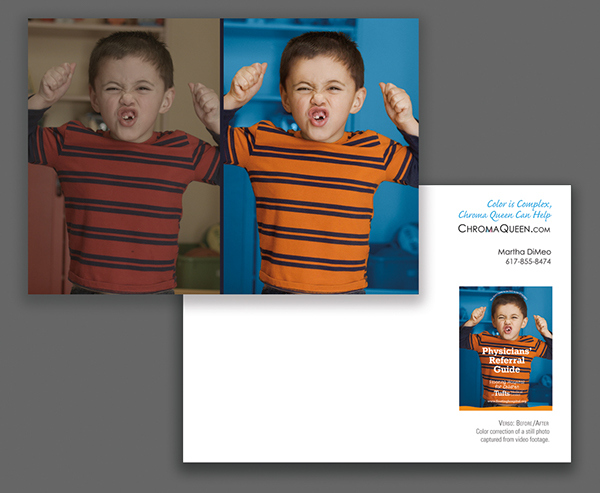 Call me for a no-cost, no obligation, image review. We can discuss the options for the photos at hand. 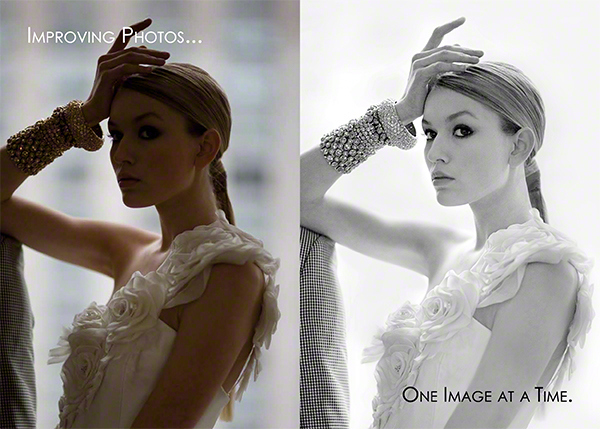 From a photo shoot of hundreds of photos, the one image the creative director and editor-in-chief wanted to use for the cover was grossly under-exposed. I was brought in to "save the day". Take-Away: A project, deadline, and budget, can be saved. No need for the costly expense of a re-shoot—and possibly missed deadlines—when the desired photo is not in a "condition" for reproduction. 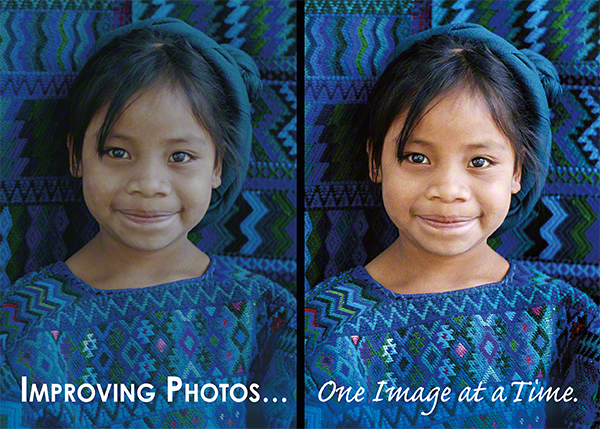 Call me for a no-cost, no obligation, image review. In reproducing oil paintings, "pleasing color" is not the goal. 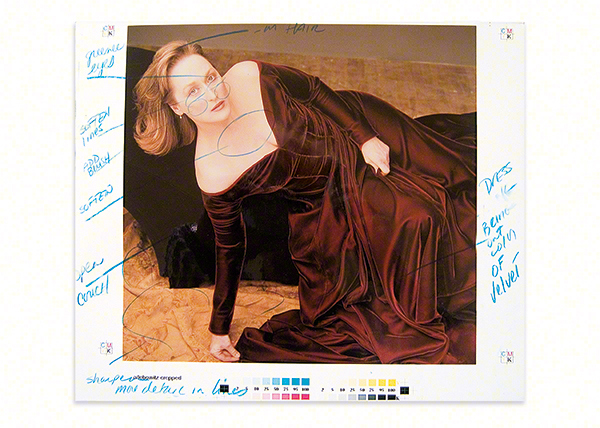 In high-end art reproduction, the artist and client requires "exact color". The colors in the reproduction must match the original painting. 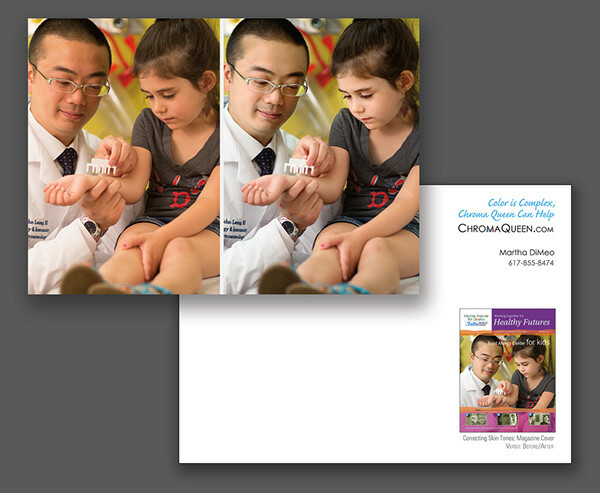 Promotional for ChromaQueen.com highlighting photo retouching and color corrections services.